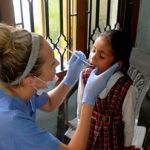 How To Be Healthy While Volunteering In India This Summer? 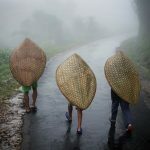 The climate of your native land is surely absolutely different from that of India. Summer is here and the mercury level is constantly rising here! If you have planned to take a volunteer trip to the country during this summer, then you need to take utmost care of yourself and be healthy. Volunteer work will make you go out in the sun and work for at least 4-5 hours a day. There’s no need to panic! 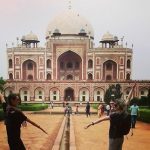 Here are some simple tips that you can follow to be healthy during your stay in India. Drink a lot of water. When we say ‘a lot’, we mean at least 6 – 8 liters of water each day. This will help to keep you hydrated and fresh, and also protect you from the heat waves. Make sure to consume mineral water – it’s better to avoid drinking tap water. India has a humid climate which might cause severe sweating in summer. This leads to the electrolyte imbalance in the body since sodium is flushed out of the system. Drink a lot of lemon juice, coconut water, and buttermilk (chanch), fresh fruit juices to replenish the fluids that are lost in sweat. Avoid caffeinated or carbonated beverages (bottled cold drinks) and alcoholic beverages. All these drinks contain preservatives, colors, and sugars. It might apparently give you some relief but in the long run, it’ll cause more harm than good. They cause loss of fluids through urine and body gets dehydrated. Wear light-colored, loose-fitting clothes. Cover your body properly so that there’s minimum portion of skin open to get affected by the UV rays. Apply sunscreen all over your body, before leaving for your project site. Carry the sunscreen and apply at regular intervals. Get a good pair of sunglasses to protect your eyes from harmful UV rays. Do not treat sunglasses as just a fashion accessory. Put them to proper use, whenever you are going out. Try to avoid junk food as much as possible. Ditch those pizzas and burger and french fries – try eating light food like idli-sambhar or curry-rice. Authentic Indian food is absolutely delicious, and the spices used in cooking have properties to keep your healthy. Eat a lot of fruits and vegetables. Having salads for lunch would be a good option. Light meals are easy to digest and also helps in keeping the body cool. Try to get adequate sleep. Your body will need rest after the work and also the exhaustion that’ll be caused by the heat. 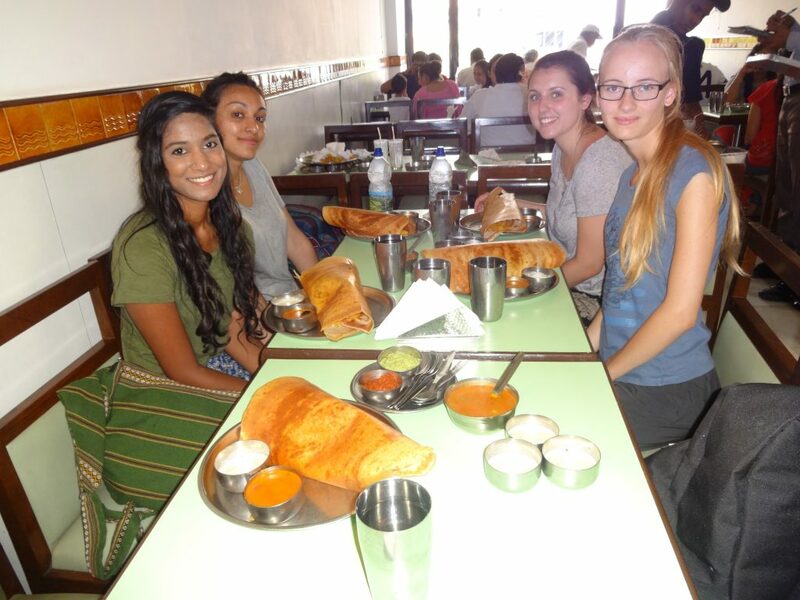 You’ll be provided with healthy nutritious breakfast during your stay with Volunteering India – make sure not to skip your breakfast. Research has clearly shown that people who eat breakfast perform better at work, get less tired during a long working day and have more energy than those who only take a cup of coffee or tea. Make sure you have a mosquito repellent handy with you. While our volunteer houses have mosquito nets to keep you safe at night, there might be quite a few of them at your project site. Apply mosquito repellent properly, in order to avoid getting bitten. 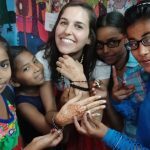 Now that you how to be healthy while volunteering in India this summer, we hope you’ll have a great time working in the country and make some meaningful difference to the lives of the people. 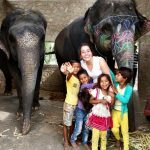 9 Myths About Traveling In India: Debunked!